Hi lovelies! Today I have a quick swatch for you of my first ever polish from Superchic Lacquer. I have always wanted to try the brand, and as they recently launched over on Rainbow Connection, I thought I'd finally give one a go. I couldn't decide which polish to go for and ended up choosing 'R.E.M. ', simply as it's my initials (well, I'm REMC). Read on for my swatch and more info! 'R.E.M.' is a black linear holographic. The formula is very smooth and easy to apply, and has just the right consistency - not at all thick, but not thin either. It also covers perfectly in one coat. 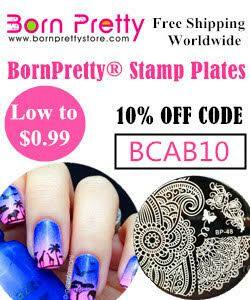 It does dry fairly quickly so if you over manipulate the polish it can drag and cause patches. The holographic effect is much stronger once topcoated. Below is just one coat and topcoat. What do you think? I'm so impressed! Quite often with 'one coaters' I normally end up adding a second coat, but not with this. It is 100% opaque, and jet black. I don't think another coat would make the slightest bit of difference. I also found it really easy to remove. Being so dark and pigmented I expected it to cling to my cuticles and skin, but it didn't at all! You can find 'R.E.M.' on Rainbow Connection here for £12. There are also plenty of other Superchic Lacquers to choose from here. That is freaking gorgeous! I love how it's a true black and not a dark grey! Wow, one coat? Seriously stunning. Dang! 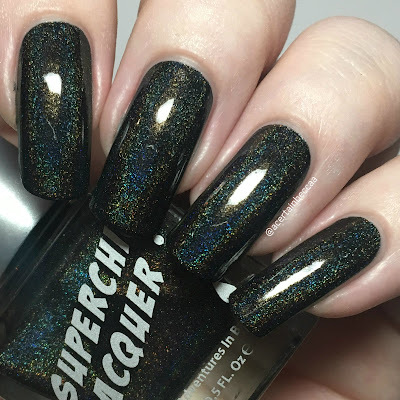 I've been eye balling some of SuperChic's holos - they look stunning! I've never tried an actual polish, only the top coat. One coat?! That's so impressive! I so need a black holo, this looks like a good one! 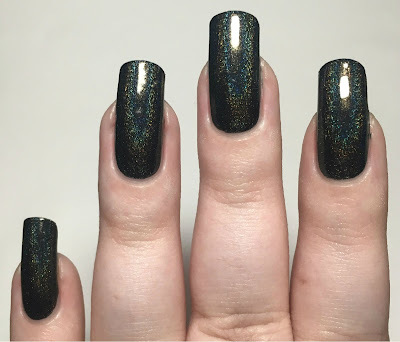 I love opaque dark holos! This brand is known for it. I love SuperChic Lacquer! Everything she does is great, but her holos are flawless. wow! one coat?! never tried this brand but maybe i need to!